The latest round of special offers from P&O Cruises, Princess Cruises and Royal Caribbean is great news for passengers booking their summer 2015 cruises but also reveal that some cruise lines are having a tough time filling their ships sailing from Southampton this year. 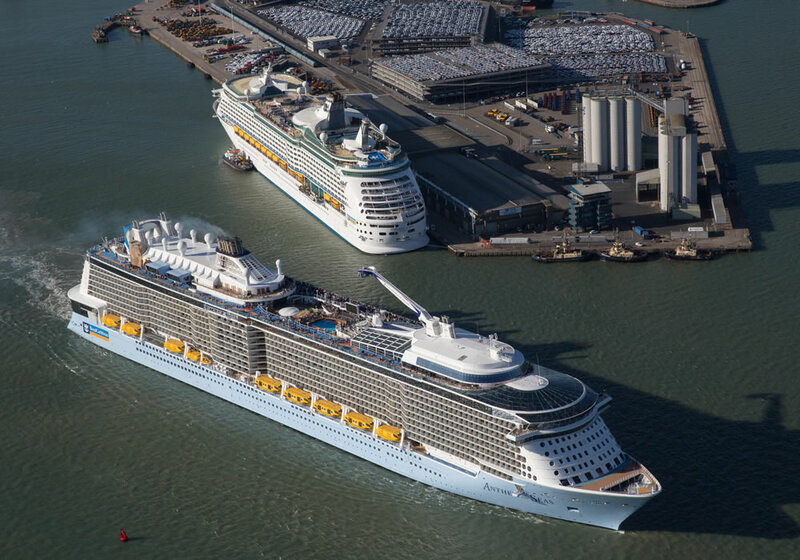 P&O Cruises’ Britannia and Royal Caribbean’s Anthem of the Seas were launched just weeks ago, grabbing headlines and fuelling speculation of fierce competition as both are home-ported in Southampton for the summer 2015 season. Princess Cruises’ Royal Princess will soon offer British itineraries from Southampton. Cunard’s Queen Mary 2, Queen Elizabeth and Queen Victoria are all operating itineraries from Southampton this year as is Celebrity Cruises’ Eclipse. P&O Cruises is currently offering on-board spending money of up to £540 per cabin on 242 cruises across the fleet when new bookings are made in May or June 2015. 114 of these are itineraries sailing from Southampton aboard Arcadia, Aurora, Adonia, Oriana, Ventura, Azura and Britannia. Prices start from £279 per person. This offer ends on 30 June. Meanwhile Princess Cruises has reduced prices on five summer sailings around the British Isles aboard the 3,500-guest Royal Princess. The ship was launched two years ago by HRH, The Duchess of Cambridge in Southampton and has returned for its maiden UK season. Fares now start from £699 per person and up to $150 free on board spending money per stateroom is also available. This offer ends on 8 May. Royal Caribbean, who recently announced an end to last-minute discounting in the USA, is offering up to $200 in on-board credit per cabin, cabin upgrades and all-inclusive drinks packages on selected Explorer of the Seas sailings from Southampton. This ship, fresh from a fleet-wide $300 million revitalisation program, is overshadowed by its technologically advanced sister Anthem of the Seas, also sailing from Southampton this year. Fares for sailings aboard Explorer of the Seas start from £310 per person. This offer ends on 1 June.